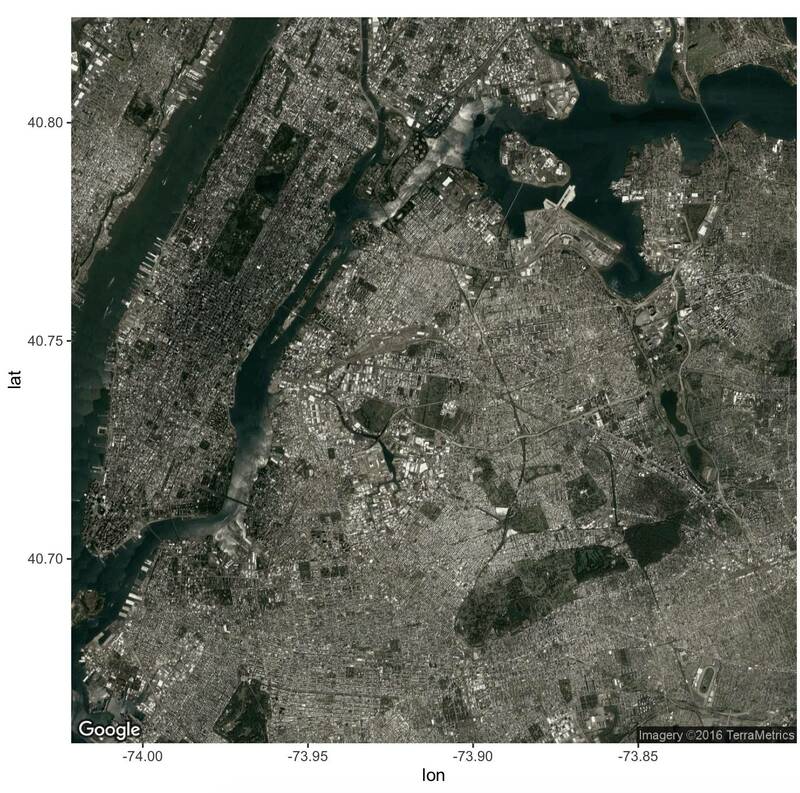 I have a dataset with points in NYC. I extract the bounding box (max and min lat/lon) and plot it on a map. 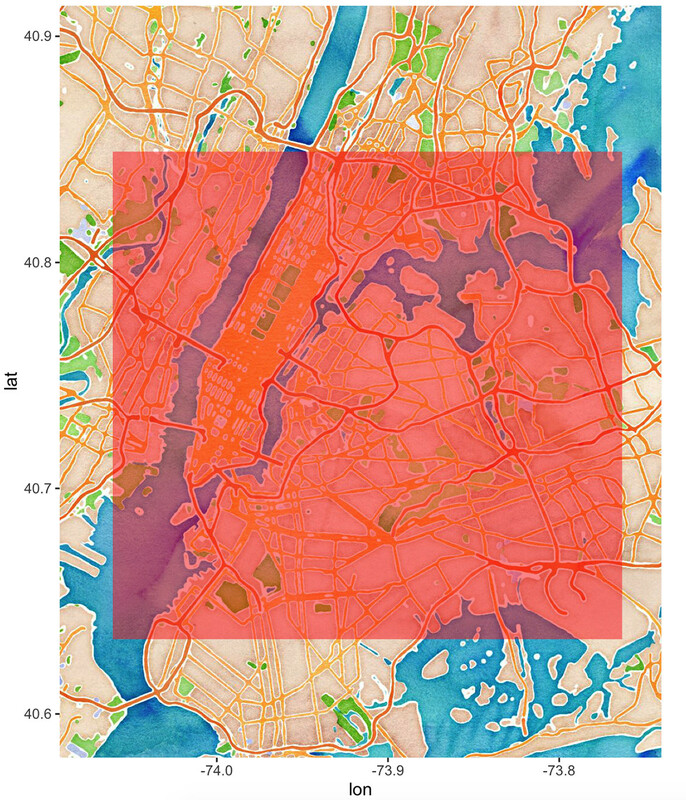 It works for the basemap stamen watercolor, but not for google's. Why? 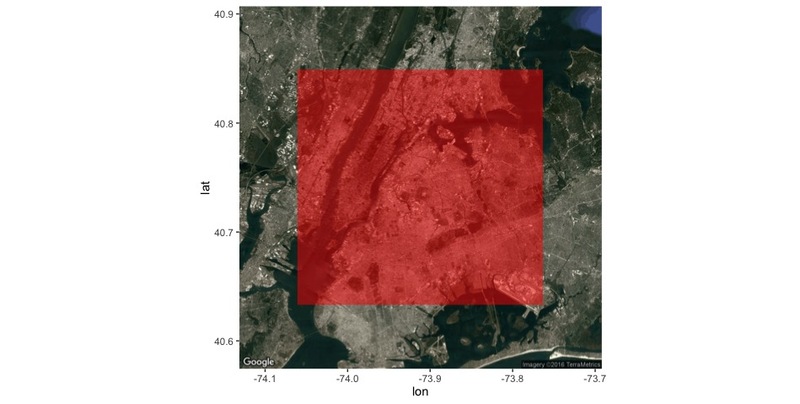 Warning: bounding box given to google - spatial extent only approximate. Not the answer you're looking for? Browse other questions tagged polygon r ggplot2 ggmap or ask your own question. R - cartography package - position of legend?